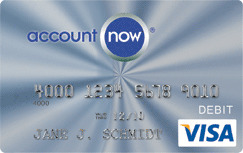 Apply for your AccountNow Vantage Prepaid MasterCard Here! The following PrePaid Debit Cards and Debit Cards below can help you monitor your spending. These reloadable debit cards only allow you to spend up to the amount you have pre-deposited. If money managment is your goal, then a prepaid debit card could be the card for you. Search through the Prepaid Credit Cards, PrePaid Debit Cards and Debit Cards below. Compare the Prepaid Cards below and find an offer best for you. Get a Credit Card of your choice by filling out a online application securley.